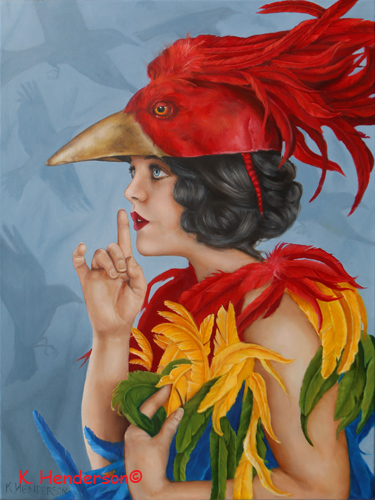 I have been invited to participate in a Bird Themed art show. While looking for inspiration I came upon a small black and white vintage photo of a woman in a bird costume. My second inspiration was a Scarlet Macaw. Combine the two (and lots of painting and re-painting) this is the result. 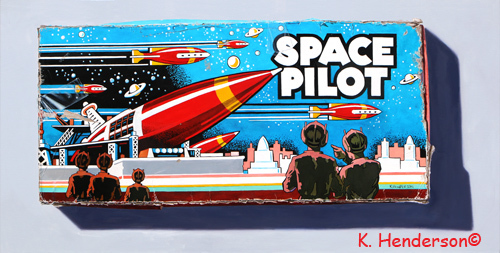 This is my my most recent painting from my Vintage Board Games series. 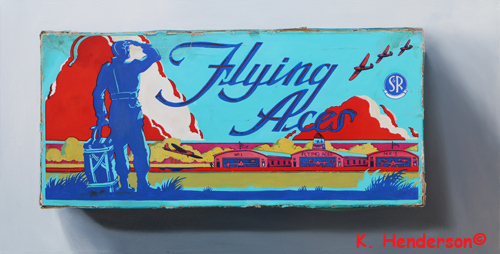 FLYING ACES No.72 was published by Selchow & Righter Company , New York, NY. 1940. Artwork by William Longyear. 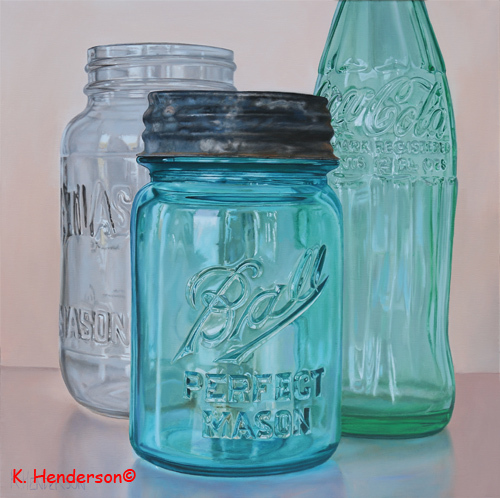 This painting will be included in the Wild Bunch Art Show at Lovetts Gallery , 6528 E. 51st ST, Tulsa, OK 74145 in the Farm Shopping Center beginning November 8, 2014 10am – 5pm. November 1988 I married my Hubby in Muskogee OK. Our honeymoon? 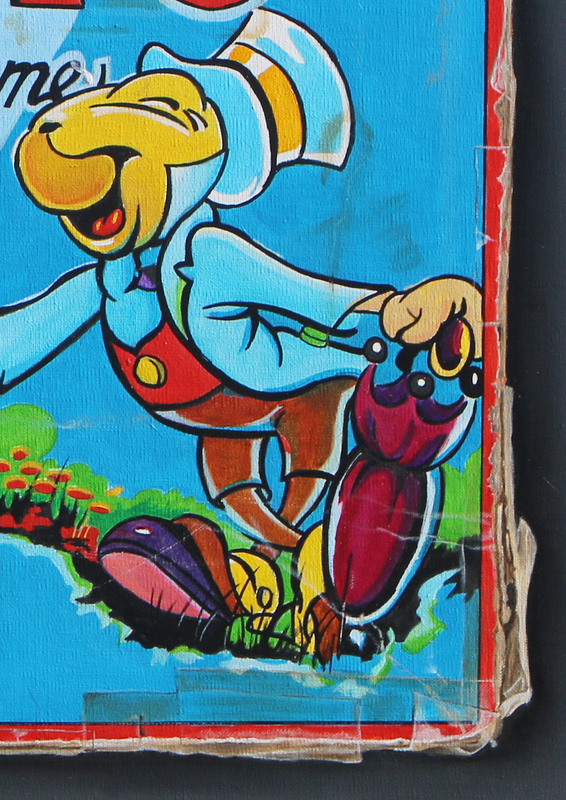 We spent it at an art show in Tulsa, OK.
Join us at Lovetts Gallery , 6528 E. 51st ST, Tulsa, OK 74145 in the Farm Shopping Center on November 8, 2014 10am – 5pm. 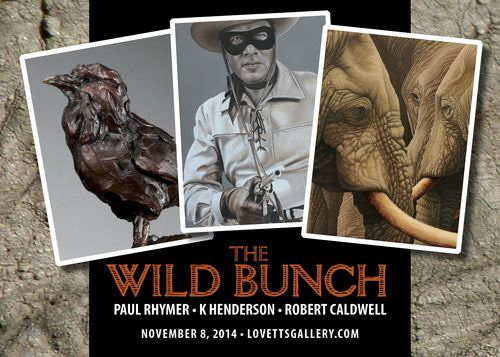 The show, “The Wild Bunch”, features me, Paul Rhymer and Robert Caldwell. The 3 of us will be at the gallery creating our artwork. Stay tuned. 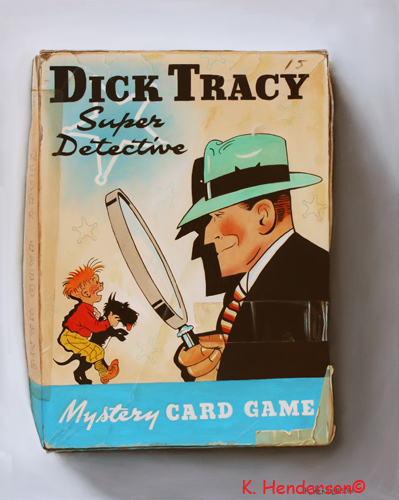 Over the next few weeks I will be posting images of paintings I will be taking to the show. 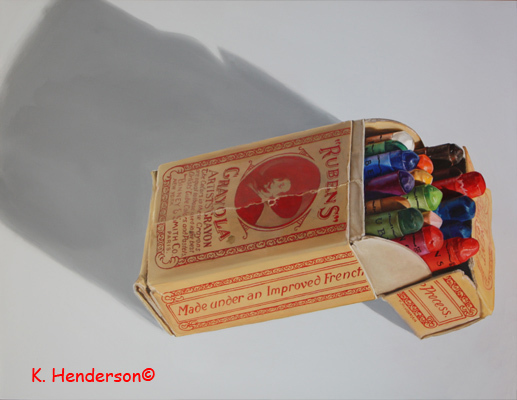 I’m excited to be participating in Objects of Beauty show at CK Contemporary Gallery in San Francisco, CA. I have 5 paintings in the show. Can’t make it to the show? See the show online! 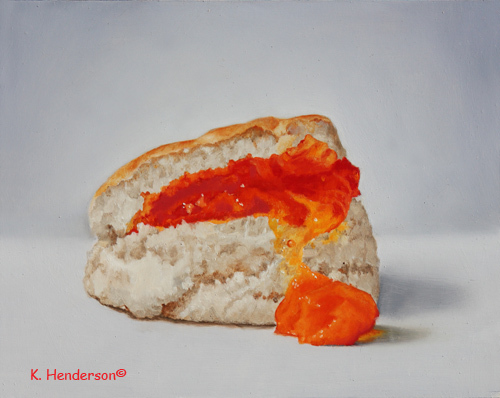 I have learned that this small painting has been awarded Best of Show at the International Biscuit Festival in Knoxville. 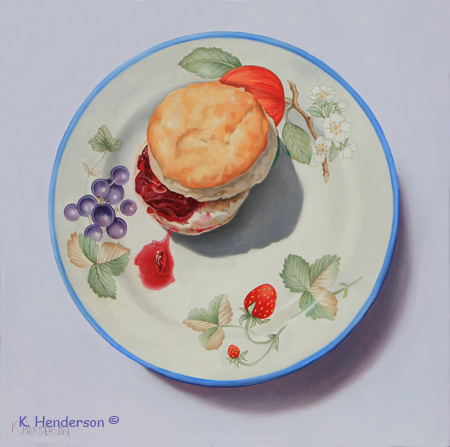 This colorful painting will be shown at the International Biscuit Festival in Knoxville. Yep, a biscuit festival.